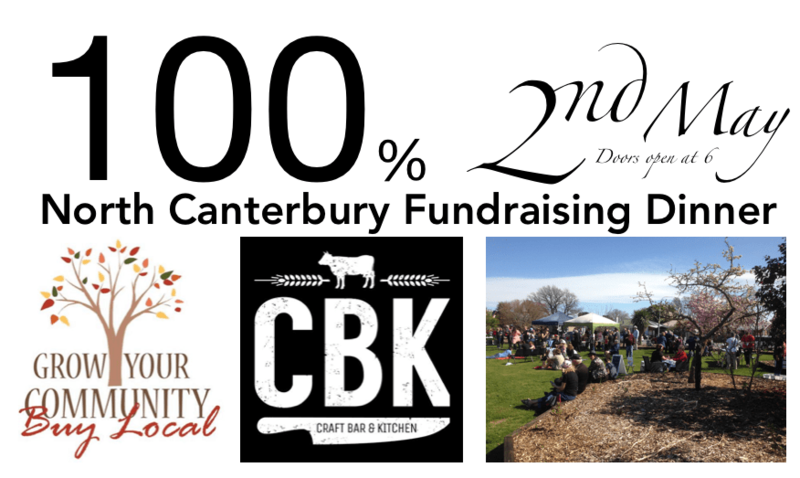 Kaiapoi Food Forest | Kai is in our name - connect, nourish, educate, and inspire. Corner of Cass, Meadow Streets and Oram place, opposite St Bartholmews Church. Easy access off the northern motorway take exit/highway 71. At the bottom of the page we have a map to make it easier for you. Each Wednesday from 4pm we have volunteer time..we welcome anyone that wants to come and ask questions, pull weeds or plant something. Wooden log entranceways have been installed on Cass and Meadow Streets. Raised planted boxes, providing food for those unable to bend down. Fruit and Vege stand has been installed by Broadhurst builders… Surplus fruit and veges are placed in this for others to use. A circular seat has been installed, materials were funded by CBK Kaiapoi. A koru shaped seat is being installed around one of the original cherry trees. Come see plans for what we want to do next. Successful business owners, Managers, Sales managers… you will have the opportunity to have some fun, network and learn. Food Manufacturers wishing to book a space or provide product, Corporates looking to be at the forefront of this event… PM the organizers or call Brent on 027 2224767 or brent@brentcairns.com for sponsorship options. This will be a wonderful day out for all the family to come along and visit the food forest… we want to show you what we have been doing. We are wanting to plant some more fruit trees and some smaller trees/bushes. If you have them, bring along edible seedlings, berries (kids can never get enough berries), cuttings, herbs, edible trees and plants a spade, hat sunscreen and a picnic. Thanks to over 200 people and families came from as far as Ashburton, Christchurch, Rangiora and Kaiapoi planted over 300 trees, berries and plants, over 80 of those were donated on the day. Kaiapoi High School building department donated 2 BBQ tables so people can come and picnic. Thank you to Rev Sandy and volunteers from St Bartholmews church for providing tea and coffee and sausages. we want people to be inspired by artwork, creative landscaping and seating in this beautiful natural landscape. 20% of New Zealanders are classified as food insecure, which means they are lacking access to safe, affordable, nutritional and culturally appropriate food. A social and community based food forest will allow better access to affordable food for a growing number of low income or no income families. The Food forest is designed to create its own micro climate, which makes for an ideal location to meet up with friends and family, ideal for picnics, ideal for events. The location of the food forest to Kaiapoi’s main street along with easy access off the motorway makes this food forest an ideal location to stop and visit by eco tourists. Innovative creative seating and original art works placed throughout will make the food forest enduring, a destination to visit by residents and tourists. The beauty of “kai” in Kaiapoi’s name, makes it even more appealing. Community garden / food forest programmes can have significant mental health benefits for participating gardeners. There is a substantial body of evidence that shows that, when taken together, the essential components of a food forest program (growing plants, spending time with others in a safe and supportive environment, being active outdoors and bringing home healthy produce harvested from the garden) can contribute to positive mental health outcomes. In nature, forests exist and thrive perfectly well as their own closed system. They don’t need the addition of extra fertilizer, the removal of weeds, the spraying of pesticides and so on to keep them flourishing – they evolve and adapt to incorporate change. Food forests do the same thing, meaning that the human effort required to maintain them is minimal. Of course, permaculturists looking to initiate a food forest will need to put some time into planting and working with the land (such as mulching, compositing and so on) to ensure the best start to the forest, but once the food forest gets going, it requires very little maintenance. The systems of planting that go into a food forest perpetuate a self-sustaining system, meaning that, from a mature food forest, the permaculturists really only has to harvest! Community groups will be invited to hold events. Plantings will be chosen to provide a range of food on a 12 monthly basis. The design works with mother nature. An enduring food forest will be a valuable legacy for the entire Kaiapoi and the wider Waimakariri community. One of our purposes is to have native plants and trees similar to what Maori would have foraged for food and medicines. • It was pounded into a paste. • Growing tip (kōata) was eaten raw as a blood tonic or cleanser. • Leaves provided juice used externally for cuts, cracks and sores. • Infusions prepared by boiling leaves were drunk to treat diarrhoea. • Leaves rubbed until soft were applied as an ointment to cuts, skin cracks and sore hands. • Nursing mothers chewed the young shoots and gave them to their children for colic. • Shoots were boiled and the liquid taken to treat stomach pains. • Seeds have been shown to be high in linoleic acid — an essential fatty acid. • Flax leaves or roots were made into pulp, heated and put on skin infections such as boils. • The hard part of the leaf was used to splint a broken bone. • A bad cut was sewn up with flax fibre (muka). • Kawakawa leaves and bark were used for cuts and stomach pains. • Kawakawa was used to make a steam bath. The leaves were placed on hot stones with water poured over. The patient sat on top. • Ashes from burnt mānuka were rubbed on the scalp to cure dandruff. • A tea made from the leaves was drunk for a fever. A mature Food Forest is comprised of taller canopy trees, usually nuts and fruits, with a sub-canopy of berries and shrubs, followed by herbs and veggies below. In New Zealand Food Forest consists of 5-7 Layers. More if you include marshes and mushrooms! Now a days food is grown to suit supermarkets, it will last longer on the shelves, it can be picked all within a few days, it can survive being dropped 1 metre, it looks pretty, we don’t get export quality fruit, we get the rejects…NOTHING about taste. Heritage fruit tastes great… we want to fill the Kaiapoi Food forest with heritage trees. Food Forests are living proof that industrial agriculture is not the only way to feed the world. In fact, we now recognize conventional agricultural practices to be a major contributor towards climate change, environmental destruction and desertification. Would you like to help out, volunteer your time, donate plants or trees, offer a suggestion..